Tweet this: @ISL_Online update tightens remote access security as it’s based on three external audits and penetration tests http://goo.gl/lKwHaa. In the battle to keep your personal information private, it’s not just hackers, there is also insider misuse and human errors that harm systems and expose data. As remote access could lead to potential data breaches, ISL Online addresses remote desktop security extremely seriously. In 2014 alone, more than five updates were security-related, all aiming to minimise anything from technical risks to software misuse. The latest update tightens the remote access security even more since it’s based on the findings of three external audits and penetration tests. The leading vendor of secure connection technologies, LSE Leading Security Experts GmbH, who has performed two security audits of the enterprise remote desktop solution as part of their internal testing to assign a security level to the software in use, recognised ISL Online’s efforts for strong security: “Overall, the XLAB ISL Online Team responded fast to the security issues reported and remedied them as quickly as possible.” LSE Leading Security Experts GmbH, who have also been a satisfied user of ISL Online since 2010, concluded in their report that they continue to trust and use the software with great confidence: “LSE Leading Security Experts GmbH will continue to use ISL Online with the confidence that security is considered to be an important topic at XLAB (ISL Online headquarters)”. SaaS (Hosted Service) users have been switched to the latest security update automatically, while self-hosted (Server License) users are welcome to upgrade to the newest ISL Conference Proxy 4.1, which addresses and fixes all security weaknesses from the reports. 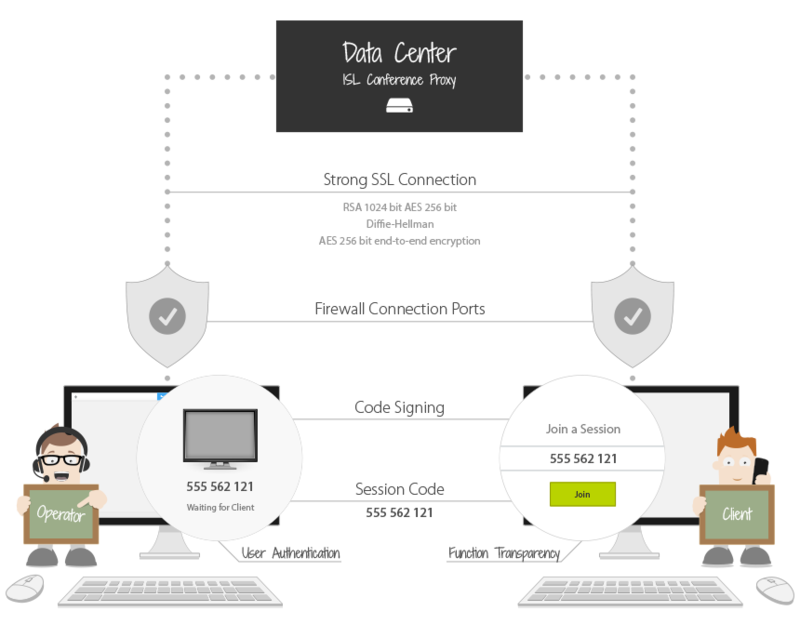 For enterprises, ISL Online is the go-to solution for secure remote computer access, fast remote support, live chats and web conferencing. It empowers Konica Minolta, Raiffeisen Bank, Mitsubishi Electric, Bahrain Telecom, Coca Cola and over 200,000 businesses in 100 countries to perform efficient remote tech assistance, share screen and enjoy interactive online presentations and meetings over the Internet. Cross-platform, secure, customisable, SaaS or self-hosted. This entry was posted in corporate remote desktop, isl online, remote access, security and tagged most secure remote PC access, remote access security, remote assistance, remote support security, secure connection, secure remote desktop, security. Bookmark the permalink.